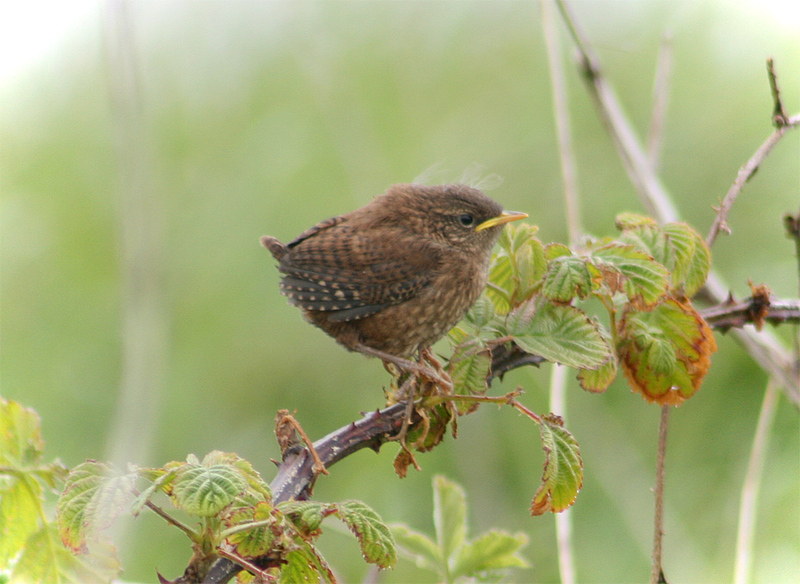 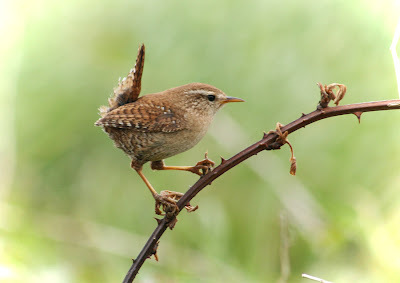 Mother Wren is busy with 7 fledglings,glorious little buzzing balls of fluff . 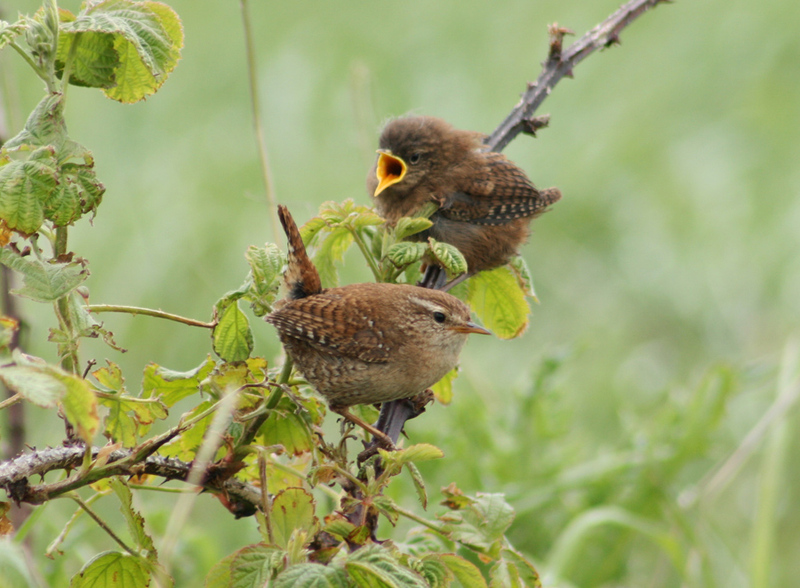 Her calls and contact keeps all 7 together in a secure bramble bush. She is an exeptional mother.